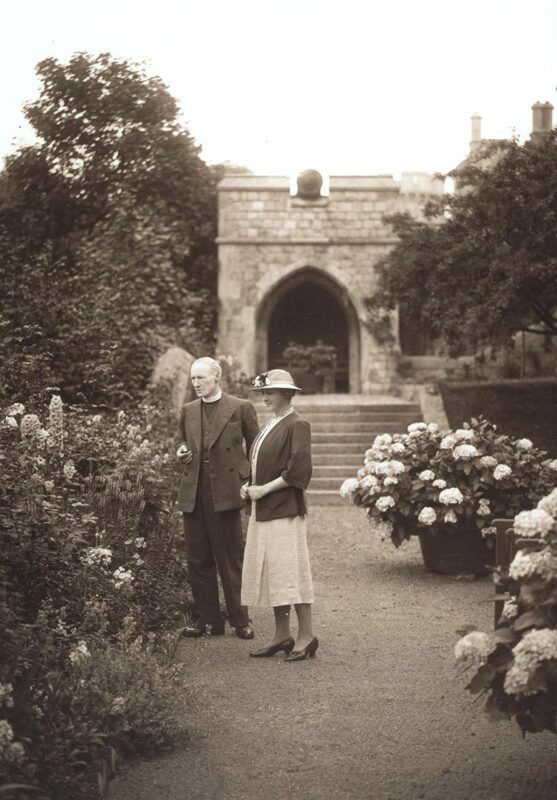 Arthur Stafford Crawley (1876-1948), or rather “Staffy” as he was affectionately known by his friends and family, was appointed Canon of Windsor in 1934. He had led a fascinating life before coming to St George’s Chapel. He had visited India to teach, held various assistant curacy posts all over the country and even volunteered in 1915 to join the British forces as a chaplain during which he was awarded the Military Cross for rescuing, under fire, injured soldiers. Throughout his life he kept the letters he received giving us a wonderful insight into the world of ‘Staffy’ and his very well connected and influential family. These letters, amounting to over a thousand, are now held in St George’s Chapel Archives and Chapter Library and make very interesting reading. Even Stafford’s male family members and friends liked to keep him updated on events and news, from accounts of rowing or polo to criticising a mutual acquaintance. In one letter a friend from Magdalen College, Oxford, also attended by Stafford, writes “I dare say you heard what a fool Cottenham made of himself. He ran off with Lady Rose Leigh and of course had to resign the mastership. The divorce case is still on at present.” (SGC M.126/A/26) Almost everything they did was recounted in letters to Stafford and, as an outsider reading them, you soon get drawn into the social circle of the Crawley’s, their extended family and friends. These letters give a glimpse into upper middle class preoccupations in the early 20th century and leave you wanting to know the next piece of gossip, snippet of news from India or account of family life in the town or country.